Conroy, Robert. 1920: America's Greatest War . Baen 2013. Summary: Imperial Germany won the Great War and several years later attacks the United States. 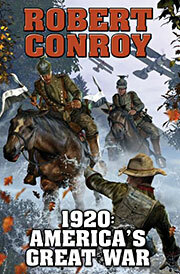 Awards: Finalist: 2013 Sidewise Award for best long-form alternate history.